Dr. Hegde serves as sub-investigator on CSI research projects for pharmaceutical and medical device studies. He supervises training of the pulmonary fellows and neurology residents and fellows at CSI. 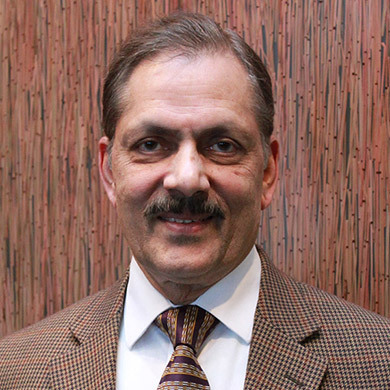 He is a Fellow of the American College of Physicians and a Fellow of the College of Chest Physicians, and has practiced pulmonary and sleep medicine for more than 30 years. Dr. Hegde is multiple-board certified with the American Board of Internal Medicine (ABIM), the ABIM with sub-specialty of Pulmonary Disease, the ABIM/Critical Care Medicine and the American Board of Sleep Disorders Medicine. He serves as a Clinical Professor of Medicine at Saint Louis University School of Medicine.